The caring and experienced professionals at Ruggles-Wilcox Funeral Home are here to support you through this difficult time. We offer a range of personalized services to suit your family’s wishes and requirements. You can count on us to help you plan a personal, lasting tribute to your loved one. And we’ll carefully guide you through the many decisions that must be made during this challenging time. Mr. Columbus Blount Murry or "Pap B" as he was affectionately known, and his wife, Fairy Lee, started Murry Funeral Home, the year was 1905. He proceeded to build his business with honesty and integrity and set a standard that remains our goal 100 years later. He knew almost everyone in the county by name. His trademark was at the end of each funeral service, "Papa B" would stand and give a brief eulogy. People that remember these events say they were the best part of the funeral. In 1944 the Murry family constructed a new two story funeral home at 517 Clay Street and still remains our current address. Mr. and Mrs. Murry resided upstairs and the funeral home below. The unique feature of this establishment was what Mr. Murry referred to as a "Funeral Church" attached to the building. Although attached, the "Funeral Church" now known as the chapel, had completely different architecture by design. This was a first for the time. "Papa B" was active in the business until his death in 1952. Two of Mr Murry's sons, Emory Hoss and William B. took over until 1964, at which time Emory sold his interest to Billy Ruggles, a faithful employee since 1950. 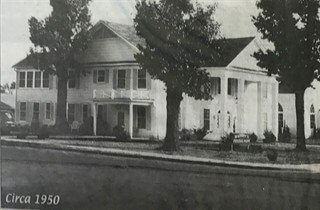 William B. and Billy remained partners in the Murry-Ruggles funeral home until William B's death in 1977. Billy and his wife Ramona purchased Mr. Murry's stock from his estate. In 1980 the Ruggles sold interest to their son Murry L. Ruggles and Mike Wilcox. The name remained the same until a devestating toronado March 1,1997. At this time a new funeral home was built and the name changed to Ruggles-Wilcox funeral home. We are very proud of our hertage. Through the years, three of the owners have had the privilege of serving as president of the Arkansas Funeral Directors Association: C.B. Murry 1912, Billy Ruggles 1967, and Mike Wilcox 1994.